It had been a long day. The man was tired, hungry and sore. Yet, still he faced the long walk home. He was weary to the bone, but He began to put one foot in front of the other, for He had not been home in a very long time. The man was aware of activity all around Him. He was conscious of a throbbing headache and his back had been hurting all day. These things, however, were suppressed, for surely He had other things on His mind. Life had been burdensome from time to time. The man had seen good friends and family pass away. He had shown goodwill toward His fellow man, only to have it thrown back in His face. He had been honest and forthright, only to be ridiculed for it. He did not lie, cheat or steal; yet, few people were impressed by this conduct. He stood by His friends in difficult times, yet most of His friends did not return this loyalty. He was a good brother to His siblings, but there existed a gap between Himself and His family. Yes, the man had a lot on his mind as He travelled home. Weary beyond belief and deep in thought, the man did not at first realize that He had been approached by someone. A hand fell on His shoulder and Jesus of Nazareth lifted His weary eyes and looked into the face of Simon of Cyrene. Simon took the weight of the cross off the shredded back of God’s Son. Jesus continued the long walk home, still carrying the sins of the world. He is almost home. It is all over now, except for dying and rising from the grave as He had promised. Then He will ascend to the Father and He will be home again. 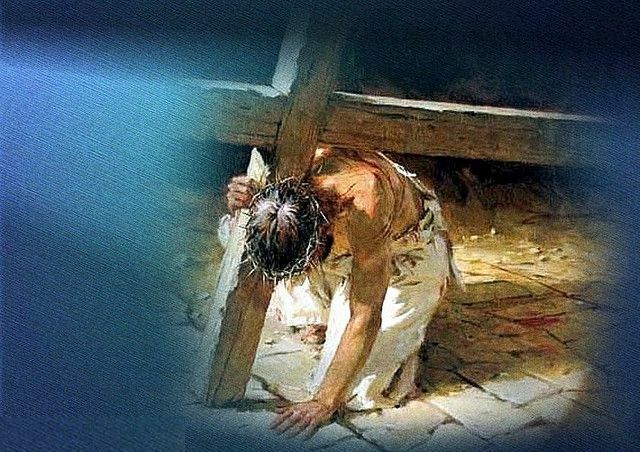 Having shed His blood, having been the sacrifice for the sins of the world, He will abide in heaven forever, where He will intercede for those who follow Him. The body of Jesus died on the cross that day. But Jesus had promised to do what no mere man could do. Jesus said He would not only lay His life down, but by His own power He would take it up again. The resurrection of Jesus Christ is an event that cannot be disputed by rational people. The evidence is overwhelming. The Jews of the day certainly would have produced the body of Jesus if the body was to be found. The weight of eyewitness testimony alone would be more than sufficient in any court of law, to prove that the resurrection of Jesus Christ did happen (Matthew 28:1-7, Mark 16:9,10, 12, Acts 1:3 1 Corinthians 15:4). Jesus overcame death as He said He would. He then ascended to the Father where He sits at the right hand of God in the seat of power. (Hebrews 1:1-3). Every child of God seeks heaven as his eternal home. From the time one emerges from the waters of baptism, one faces a long walk home. When the Christian walk seems too long or too hard for you, remember our Saviour’s long walk home. Remember that long ago day when He trudged through the streets of Jerusalem. He was wounded, mocked, spat upon and totally in control. He chose to walk to His execution for you. Now, how hard is your walk? Remember as well that this same Jesus arose from the grave by His own power. He intercedes for you. He had the commitment to die for the sins of man and His Word has the power to bring you safely home, if you walk as He walked. So when the road is long, look to the horizon and keep walking. When the road is hard, put your head down, grit your teeth and endure. Our Lord did. Categories: Christian Living | Tags: Crucifixion, Encouragement, Longsuffering, Patience, Paul Hoover, Resurrection | Permalink.